LUSH are famous for their bath bombs and soaps but they also sell a fantastic skin care range which includes literally something for every skin type, including some great cleansers. 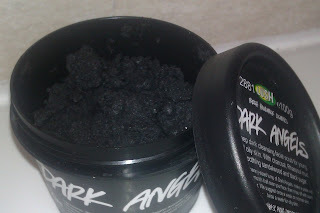 It has black sugar in which gives it the scrub effect and I really like this because I don't feel I've washed my face properly until I've scrubbed it. The black sugar stimulates and exfoliates the skin. Dark Angels is black due to charcoal. 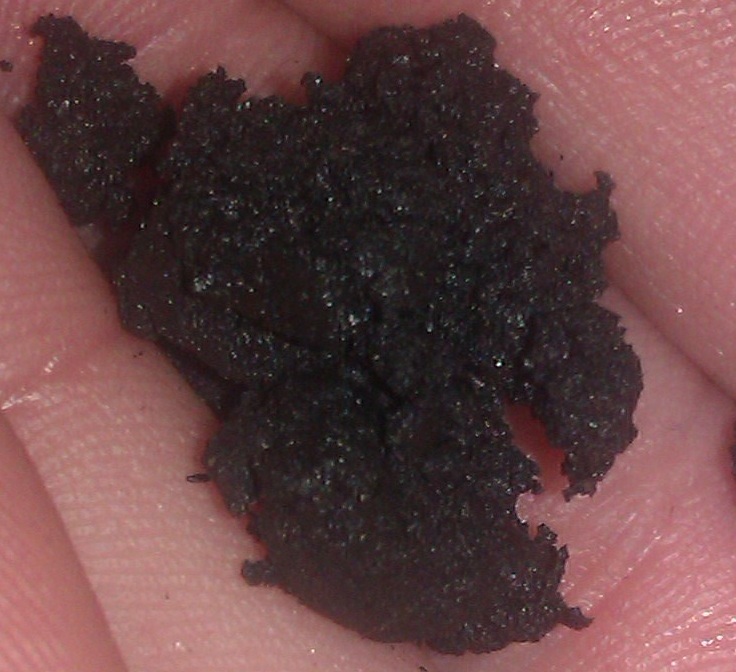 The charcoal is powdered and absorbs any excess oils. Another of the main ingredients is Rhassoul mud which, to be honest, I've never heard of until I used this product. Rhassoul mud is mined from the ground and is great for the skin as it cleanses and removes grease from the skin (great for oily skin). After one use I noticed that it did really help with oil reduction on my skin (one of my MALE housemates even commented that my skin looked great!) 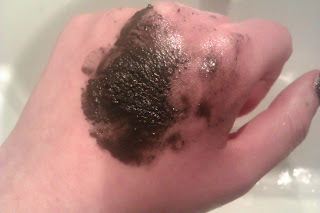 but it hasn't really helped with my breakouts and blemishes. Unfortunately it's not recommended to use this cleanser more than once or twice a week which is annoying because it is fantastic and it means I have to use another cleanser for the rest of the week. 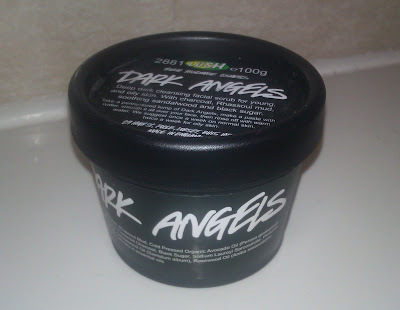 Overall I really recommend Dark Angels for oily or combination skins; it's really helped me I just wish I could use it everyday!! Have you used any of the solid cleansers? What do you think of them? Hello! I'm Becky, a YouTuber & Book Blogger. I split my time between Star Wars, Pizza and Lipstick. © 2015 // GEEK GETS GLAM // . Ashleigh Template designed by Georgia Lou Studios All rights reserved.